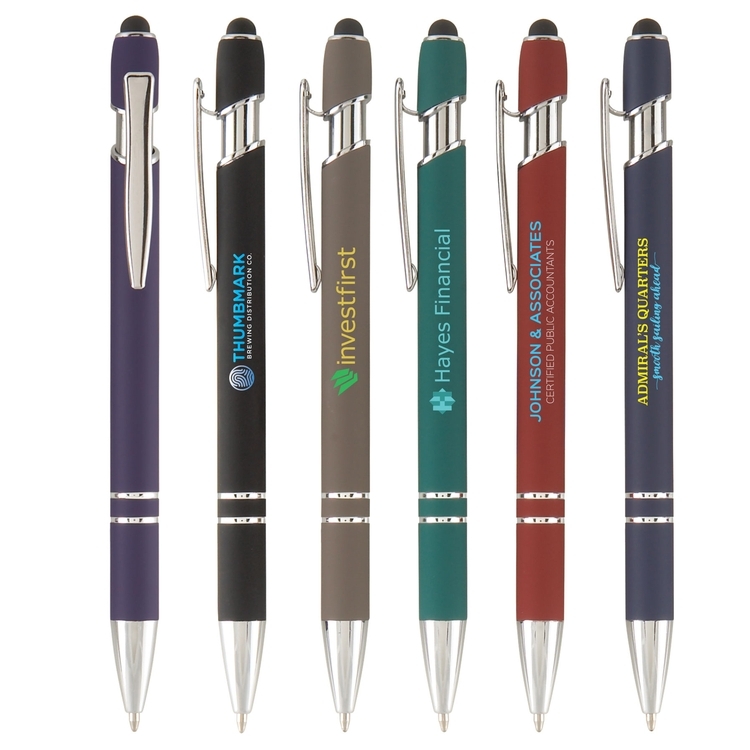 The Smoothy Classic plastic ballpoint pen comes with a selection of eight matching trims, grips, and accents to choose from. 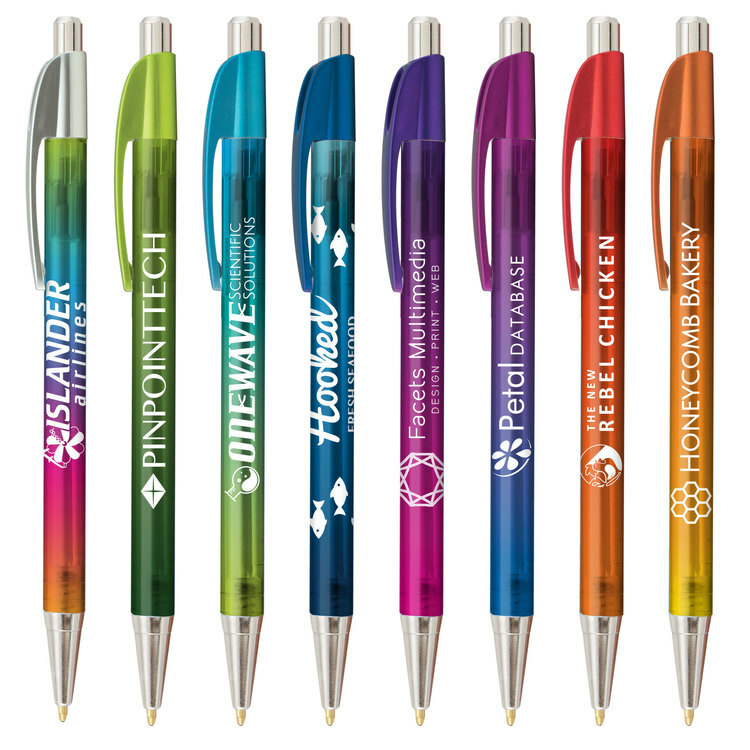 A white barrel is the perfect background to make full color direct imprints (ColorJet technology) pop. 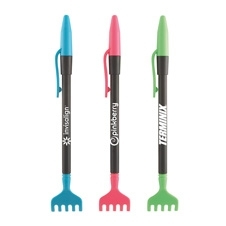 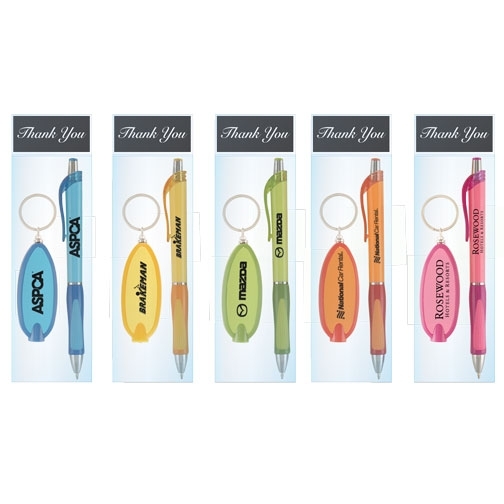 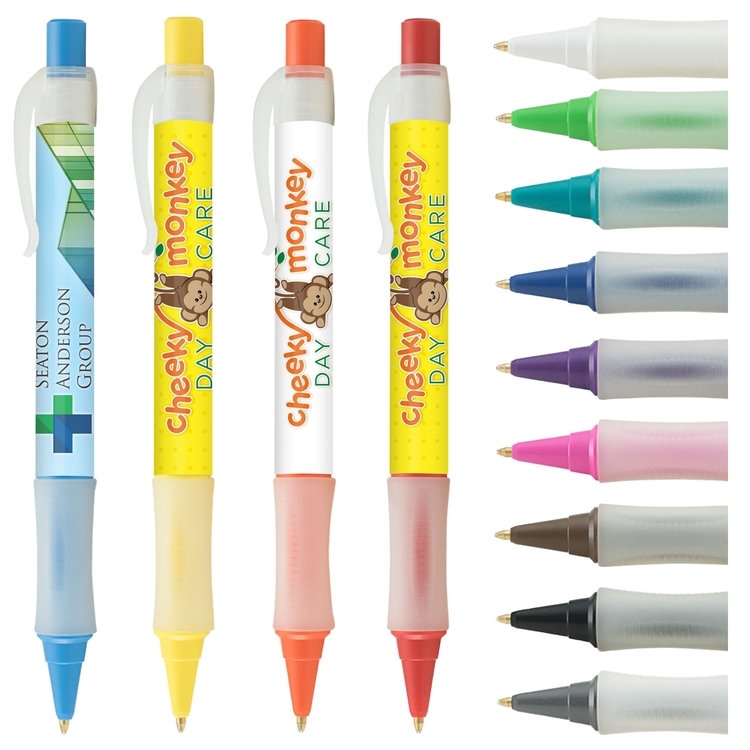 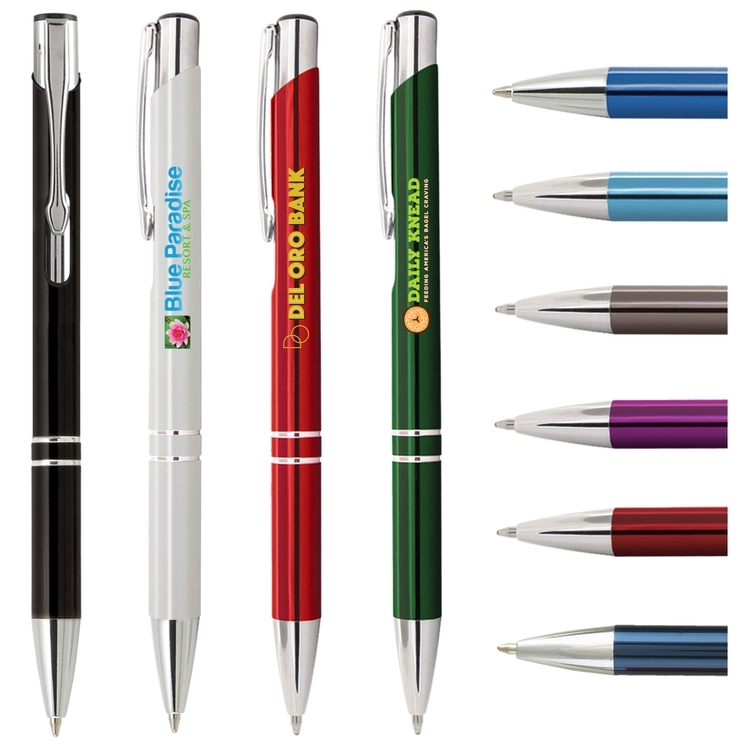 An excellent value for an eye-catching, color-coordinated pen! 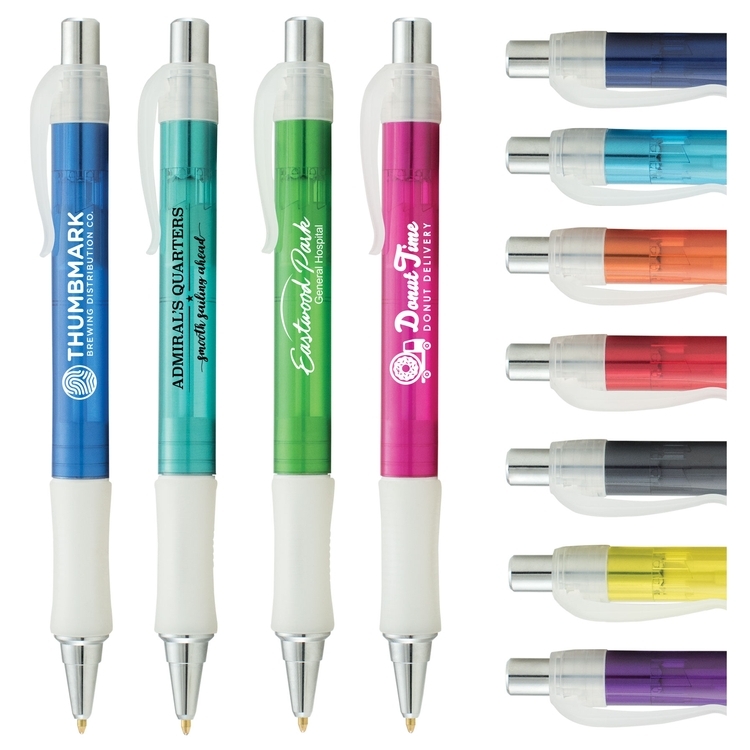 Setup No Charge Production Time 72 Hours Imprint Area 2" x .276" Imprint Method ColorJet - Full-Color Inkjet Shipping Point San Diego, CA 92154 Imprint Color Full-Color Weight 1.8 lbs/ 100 Ink / Point Black Ink / Medium Ballpoint Product Size Dimensions: 5.39"(L) x .41"(D) Circumference: 1.29"
Add a sleek and refined look to your marketing plan with the Tres-Chic Pen! 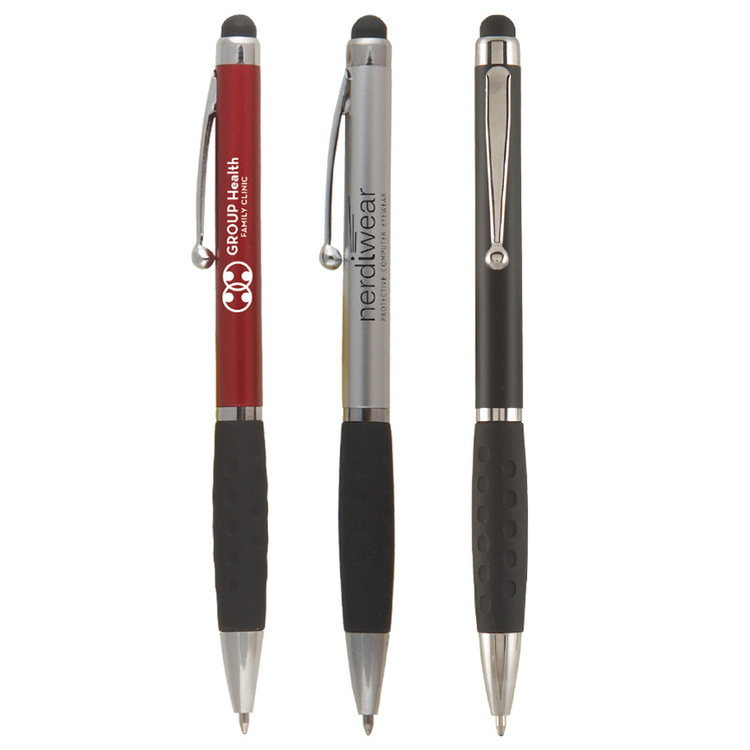 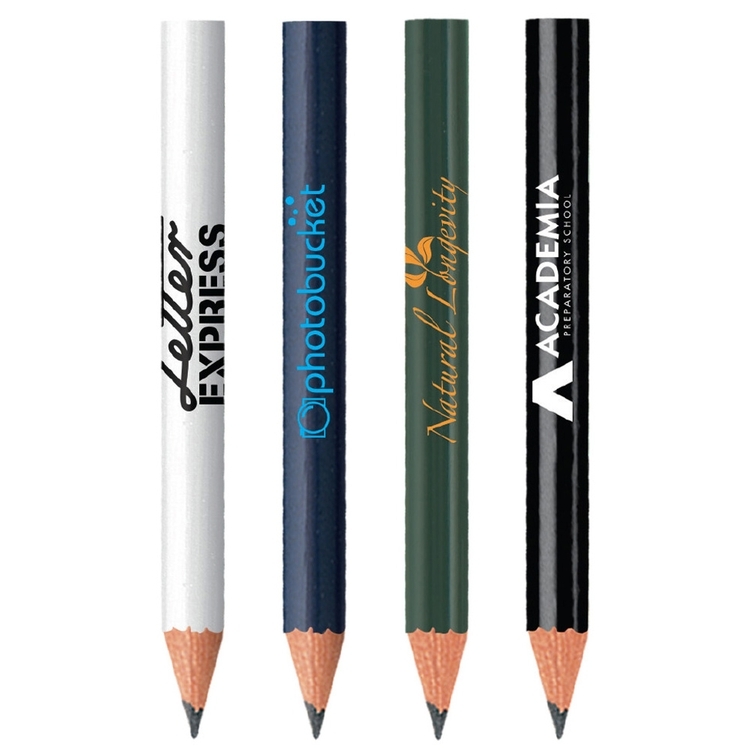 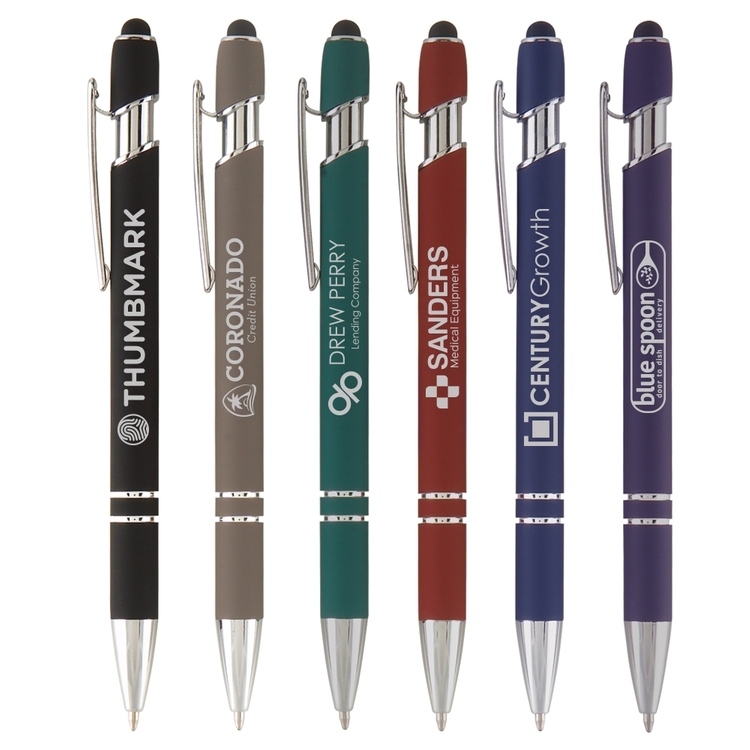 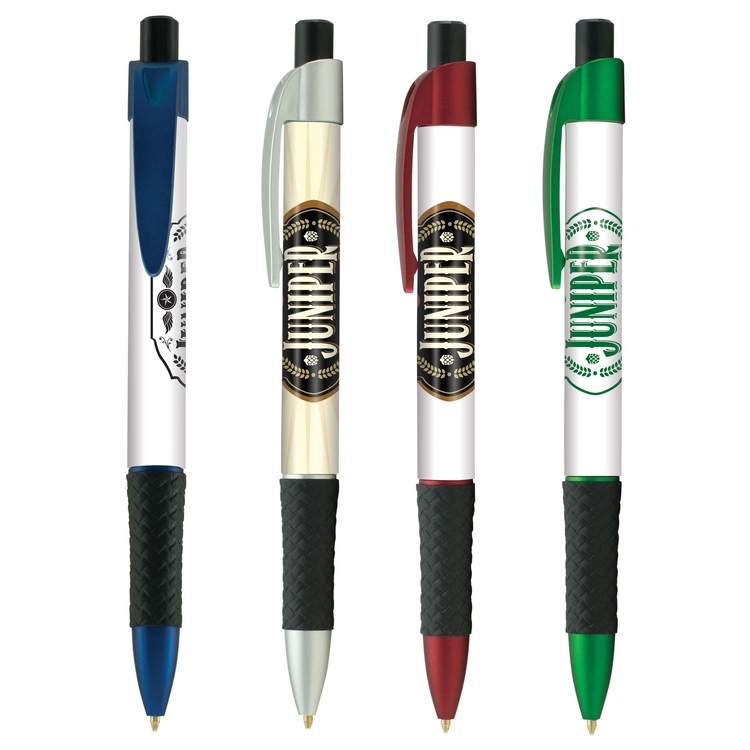 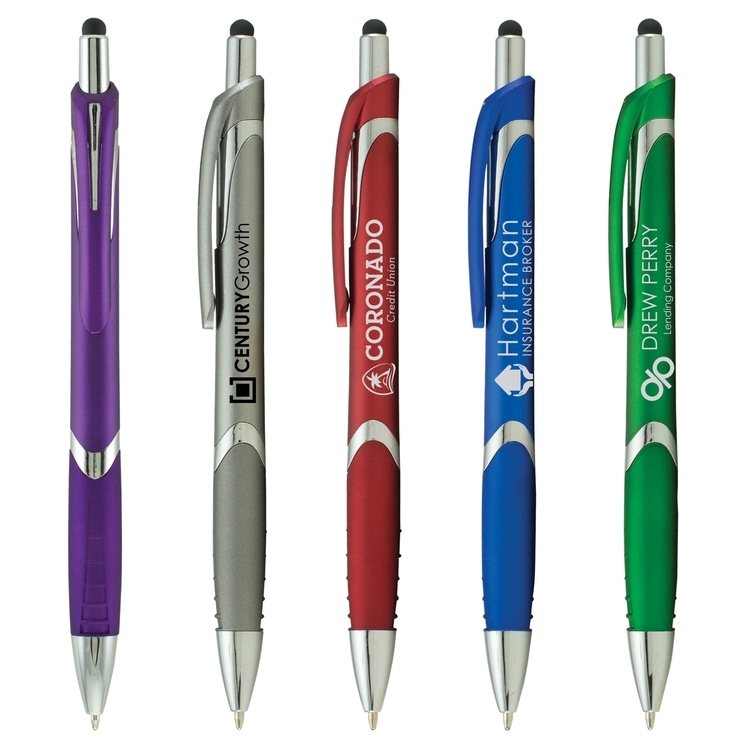 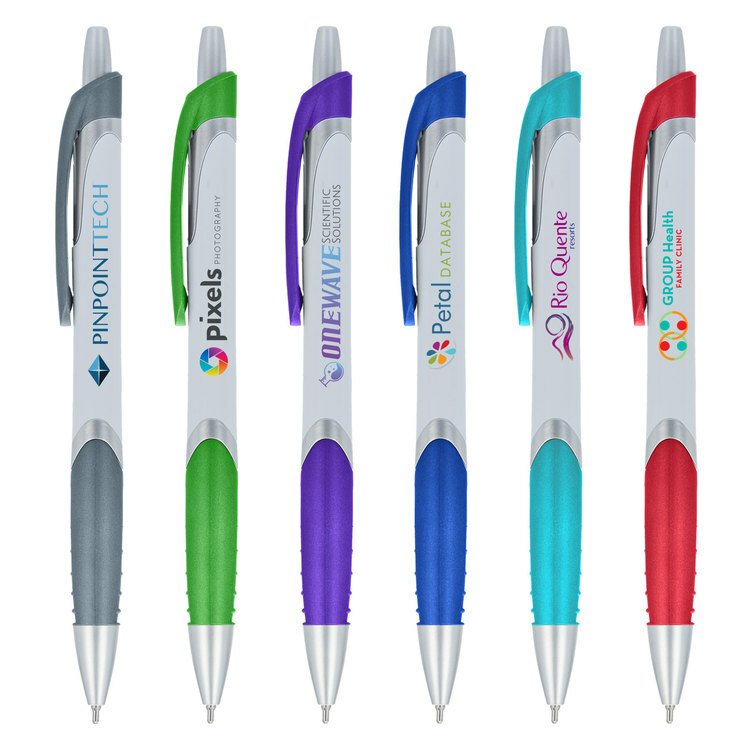 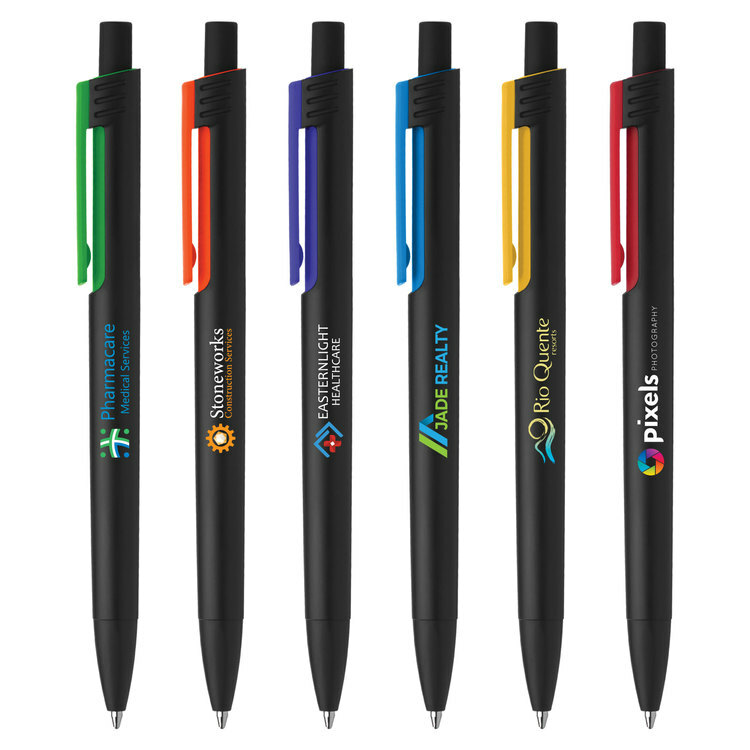 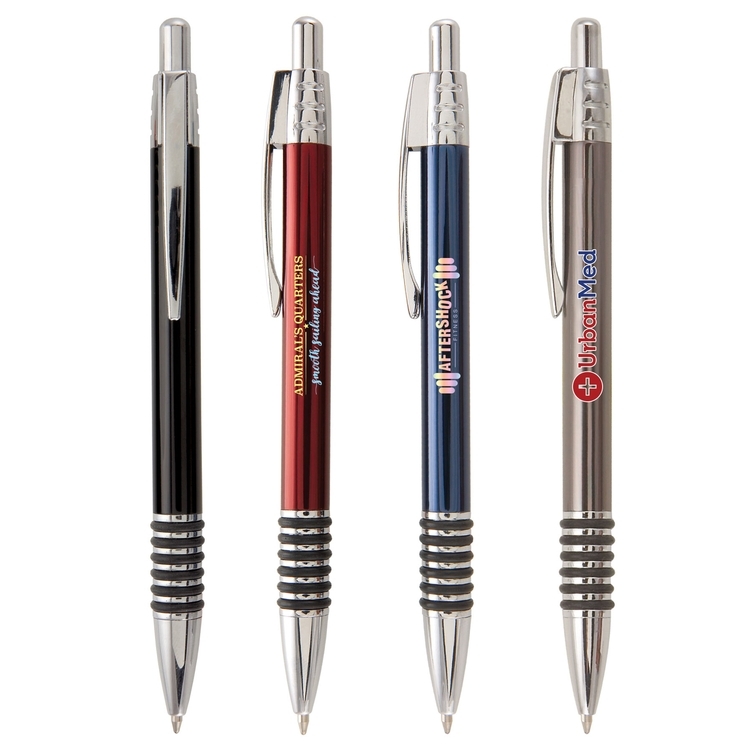 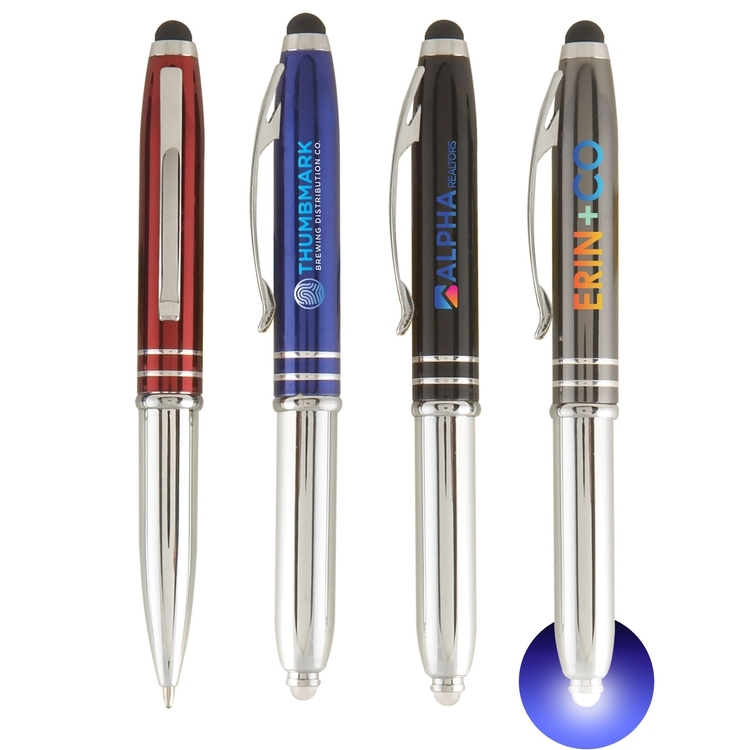 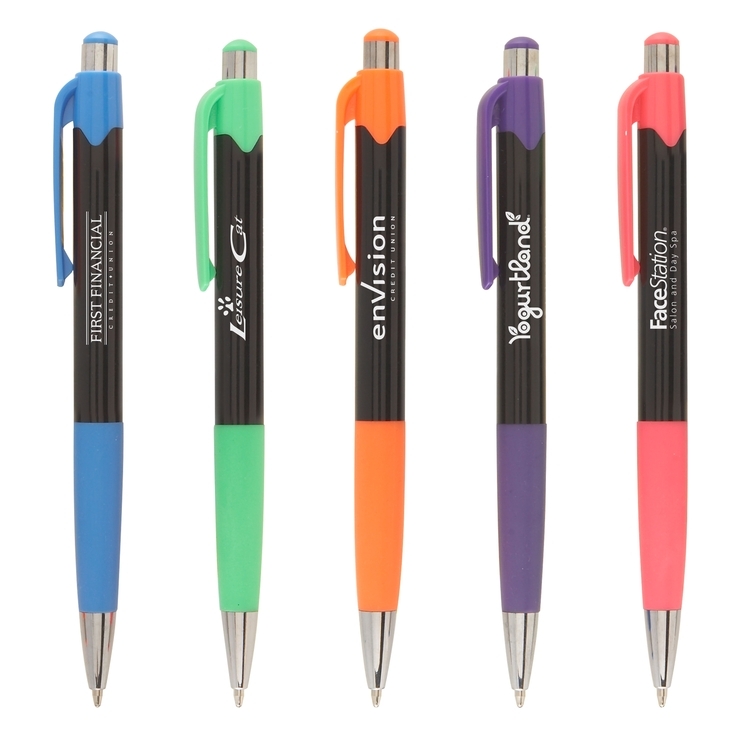 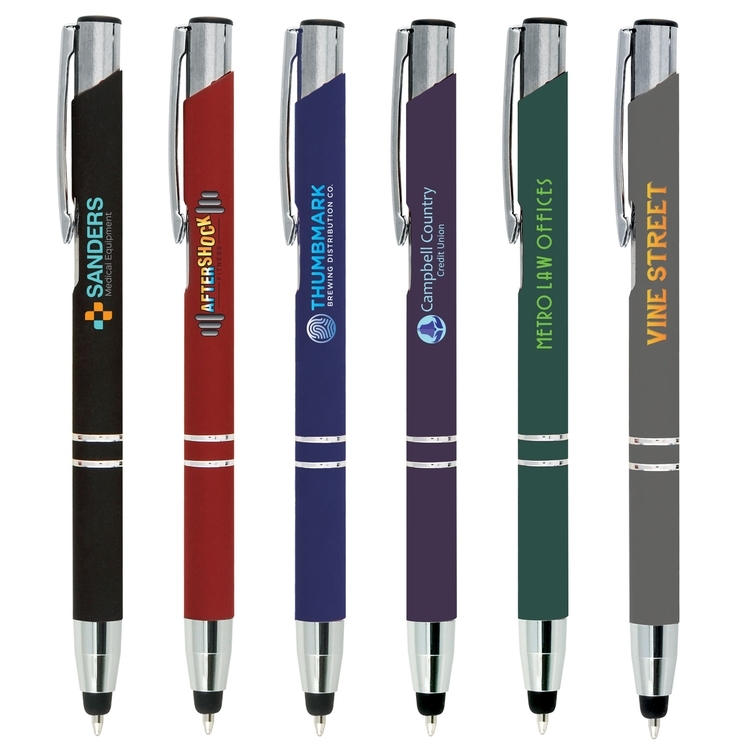 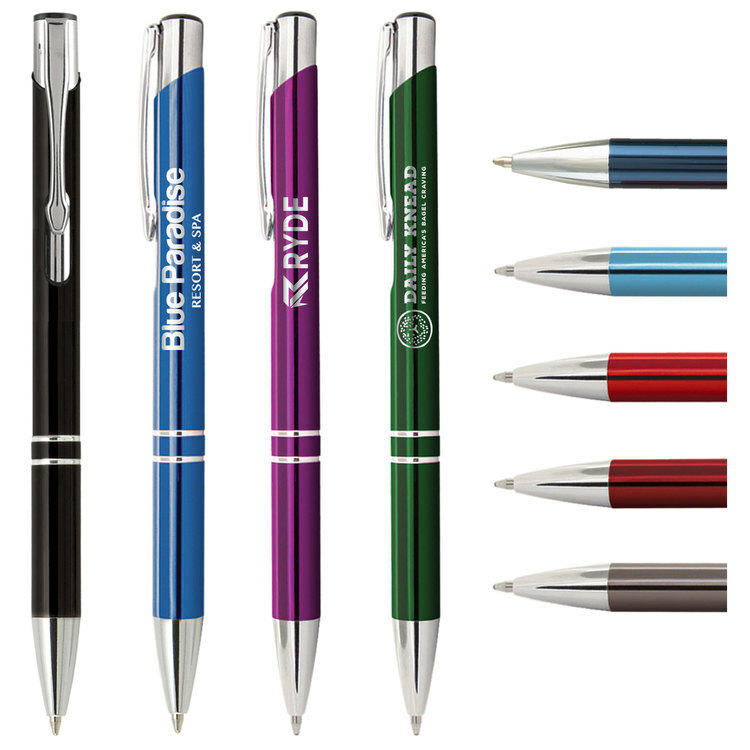 Available in blue or black ink and multiple barrel colors, including an assortment, this medium ballpoint pen features chrome accents to help highlight your company name, logo and advertising information. 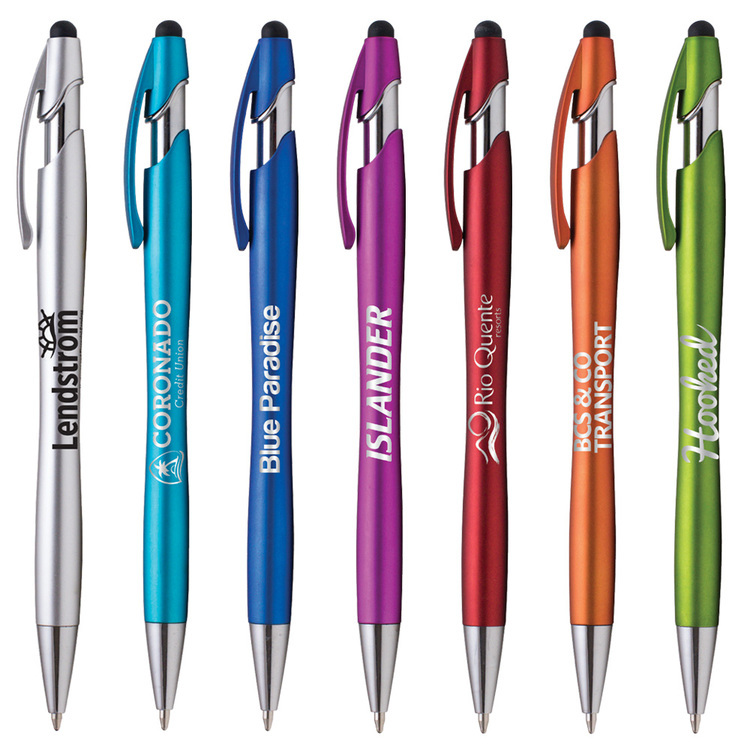 Customize it with our sharp-looking standard laser engraving. 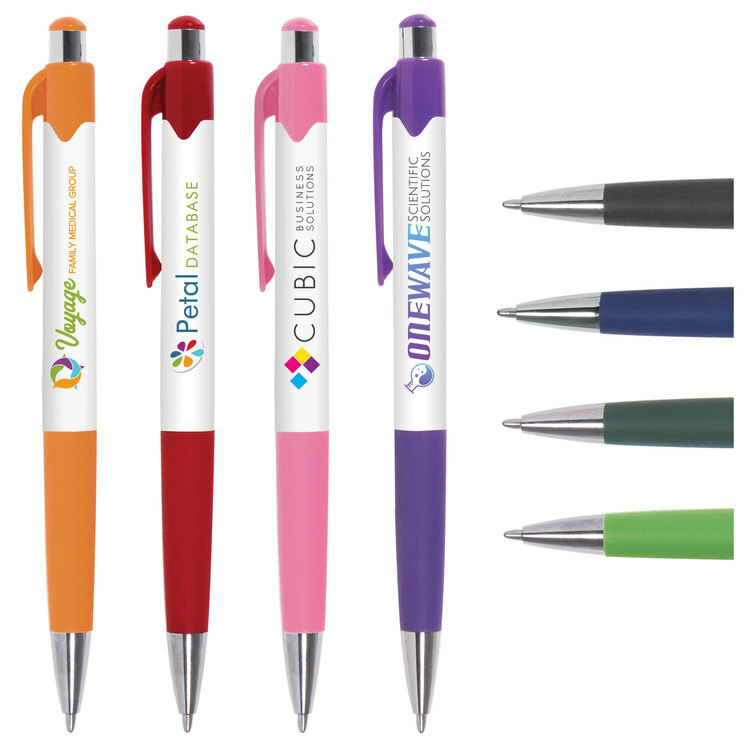 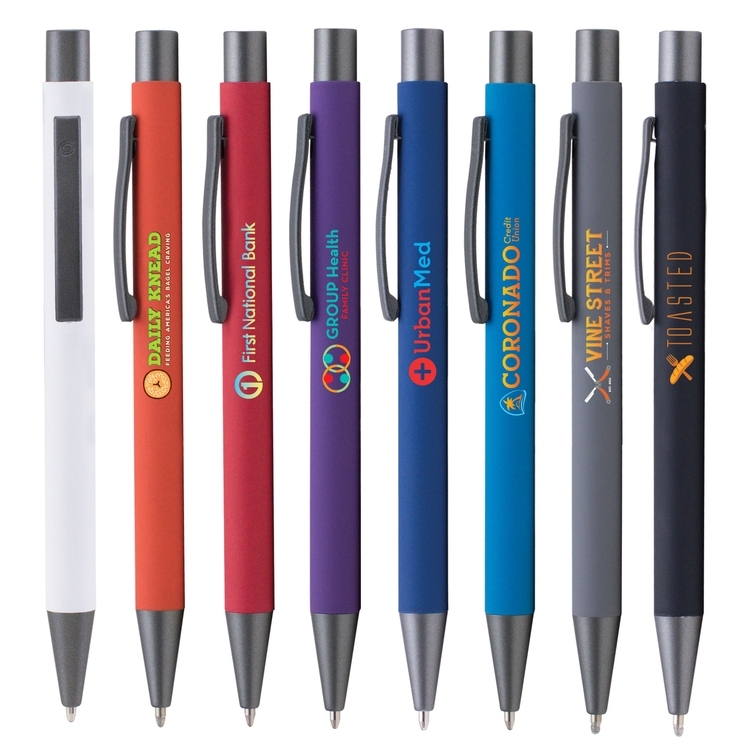 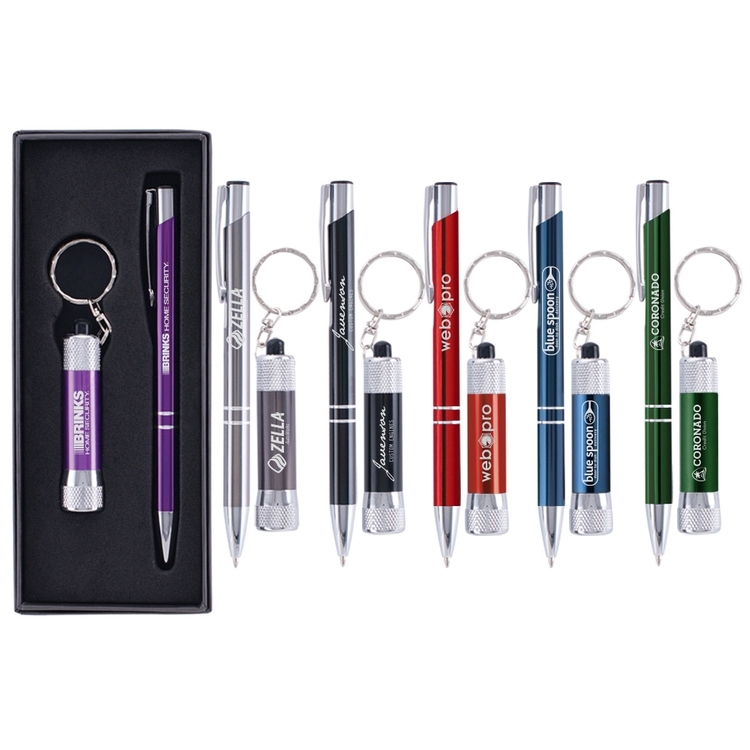 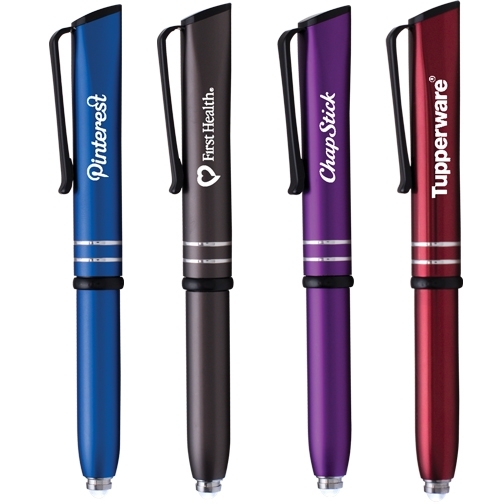 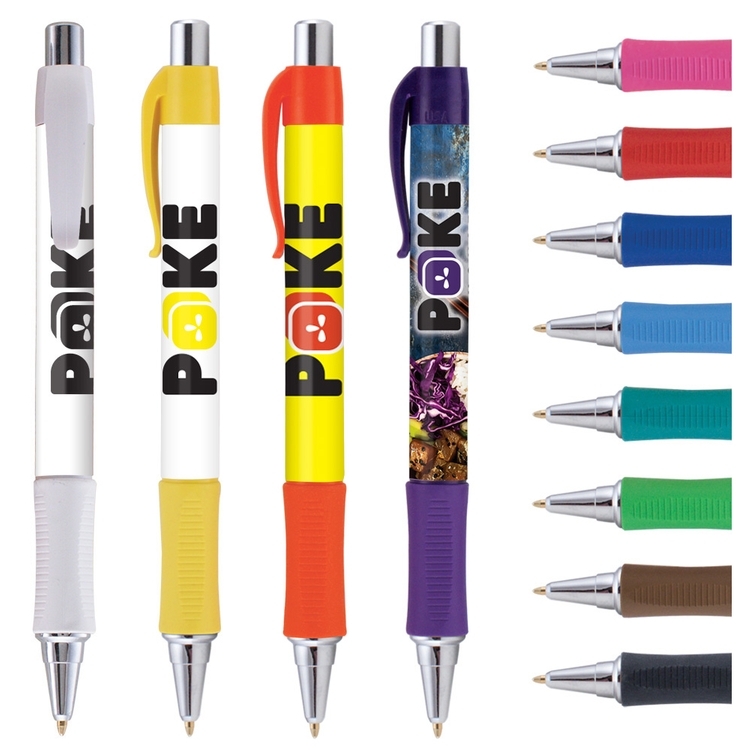 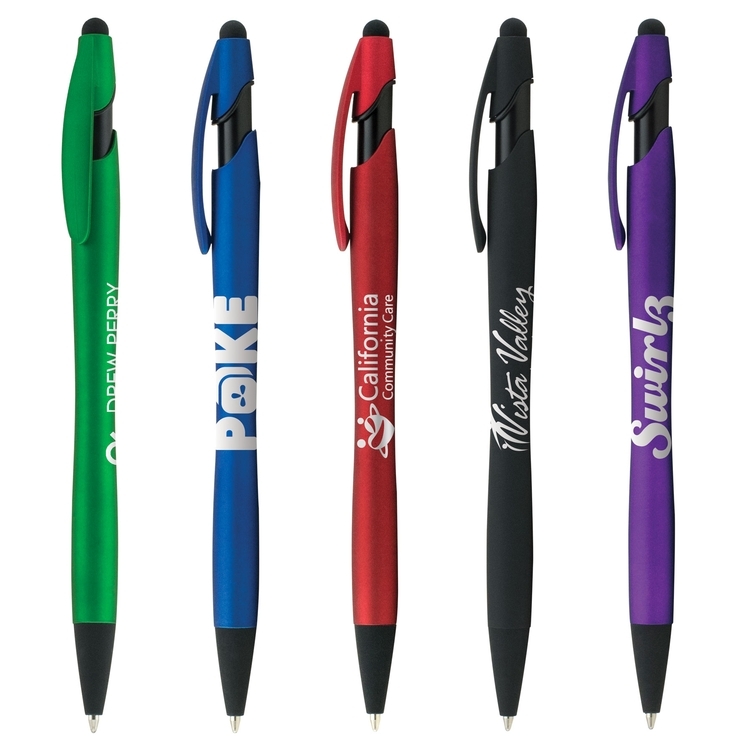 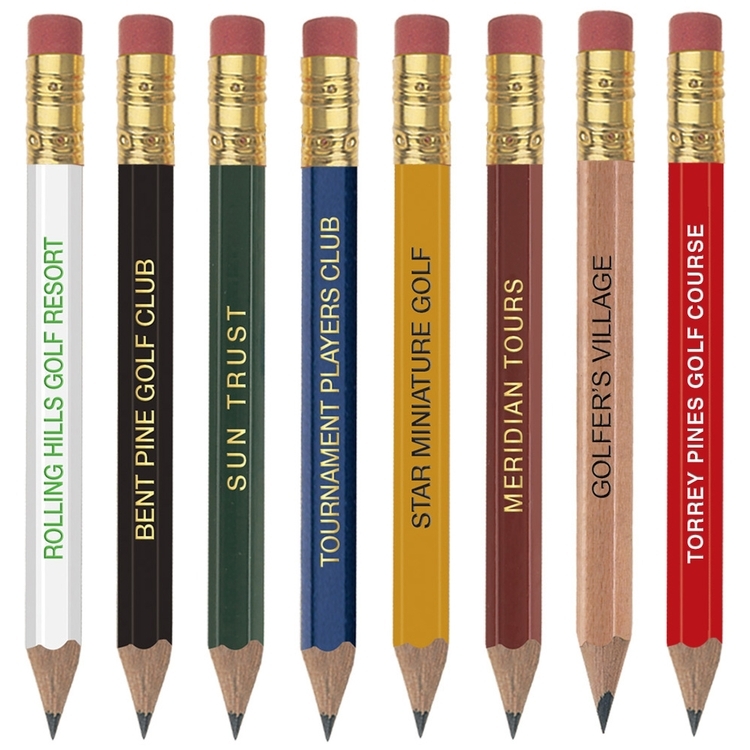 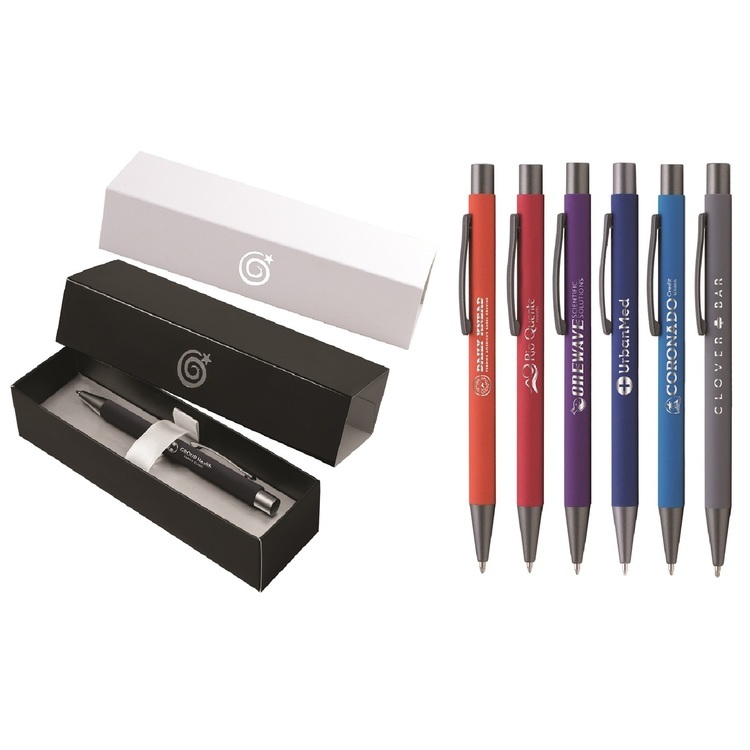 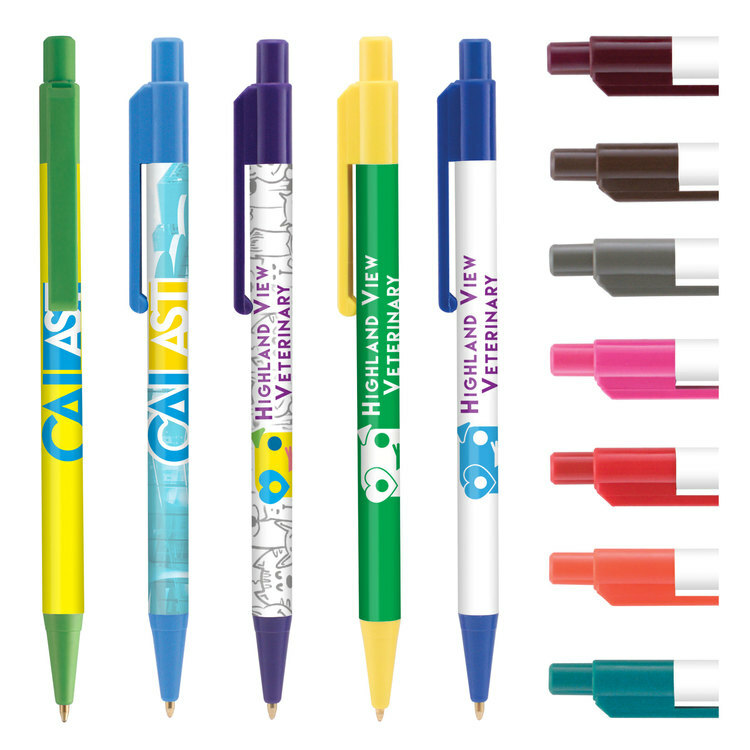 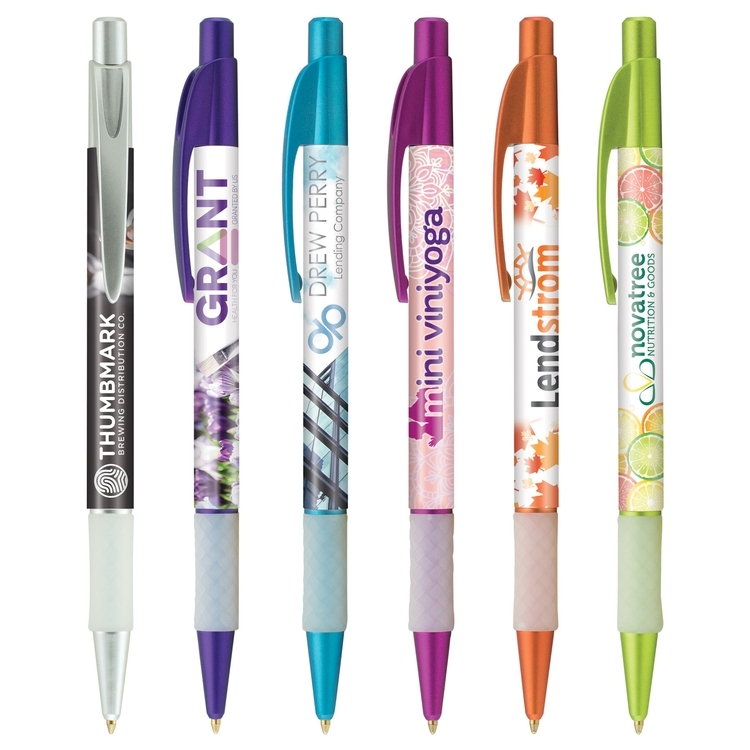 Stand out from the other companies in your industry with an amazing promo pen that everyone will want to get their hands on!